The city is old. It has had its own share of rendezvous with colonial rulers. But ancient indigenous civilization peeps from the morning customs as the populace prepare to welcome another work day. The old rat is dead and rots by the open sewage. What did you say? Delhi? Nay. It is not Delhi. There flows a river by the side. A massive one. People love and live with her. What? Dhaka? Nay nay. You know the city to be one of the emerging economies of Asia, Cub economy they call. They call it Ho Chi Minh City. But ladies and gentleman, I love the name Saigon. Just like Mumbai remains Bombay for me, Saigon shall find a safe shelter in my vocabulary. 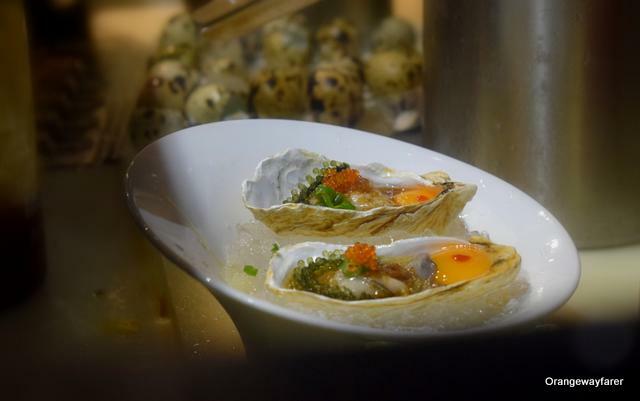 I have a doubt that this blog post will very soon become a list of must eat restaurants in ho chi minh city. But food, my dear, tells all about a place! The number of bikes! They even run a Uber bike. And I say this post living in India,a country of Billions. The made up French colonial face. May be it is just me, however I always feel depressed at the feet of majestic colonial buildings from the past. I never visited Victoria memorial while growing up in Kolkata for a leisurely stroll, not even while romancing the teenage boyfriends. But walking on the Sudder street or Bow Barracks felt different. The old lady in brown checkered frock walking on her way back home from the narrow lanes of Hog Market, hair streaked with gorgeous white…. Hence the visit to Notre dam cathedral, the French replica was about exploring the exciting Cafe scene around. And the street food they sale from cycles. Sometimes, they play an oriental tune too. 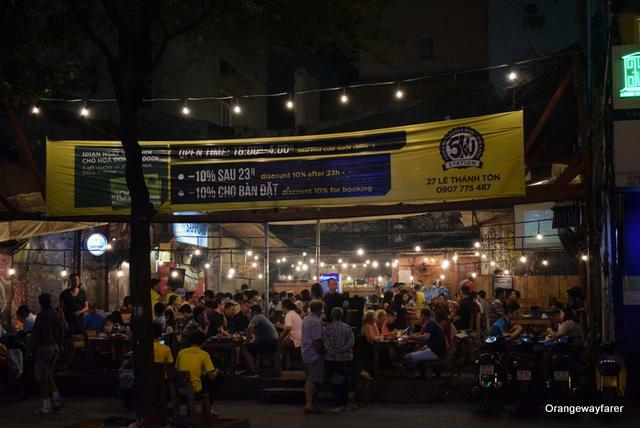 The first night at Saigon had me pull up a chair and get cultural acquaintance with undivided attention. The Francophile city has so many eateries lined up whose name start with La. A La XYZ is quintessentially French. The waiters speak fluent English. Just like the way, a Mocambo serviceman would speak impeccable English in Kolkata. We took a gentle serving of the Sole fish, a chicken Pate and medium done steak. 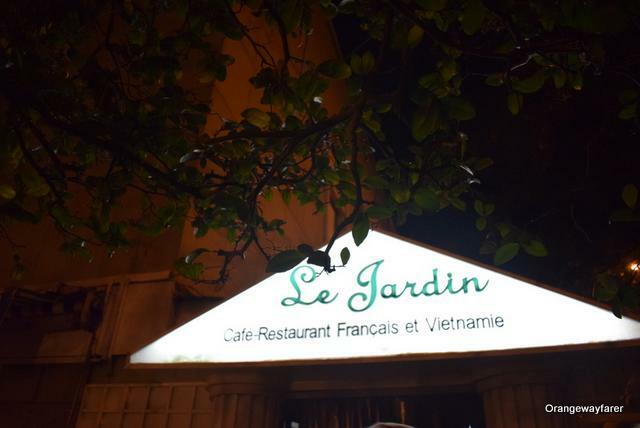 Le Jardin where the waiters speak fluent French! The rarely done steak. Did you know India exports beef to China and the first stop is Vietnam in the maritime trade? 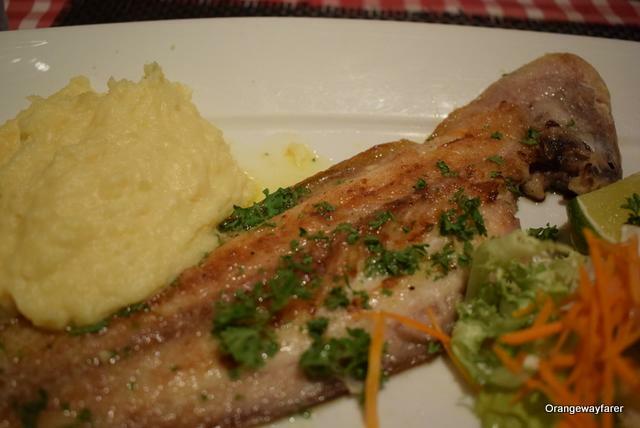 This fish (sole fish in butter and garlic) was love! On the way back, we chanced upon an amazing ice cream parlor at the basement of a shopping mall. The Fanny can be set as a benchmark of ice cream craftsmanship. We had a serving of mango and vanilla. We tried mango for the second time, it was so good. 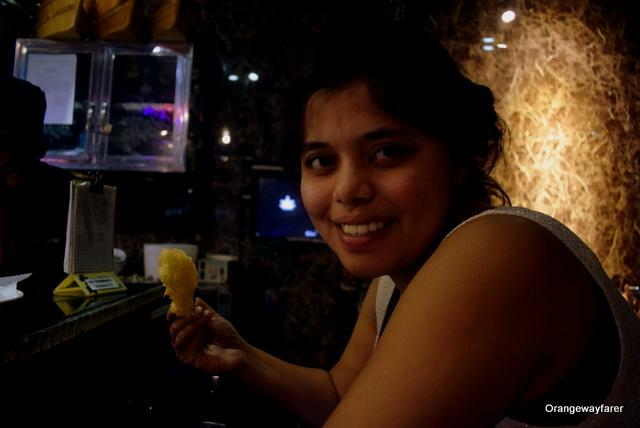 While returning to Bangalore, we had a night in Saigon and I made it a point to go back there again. Pho to Vietnamese is what Biryani is to Indians. The flavorful stock that is a result of a good couple of hours hard work is identical to the Vietnamese diaspora. 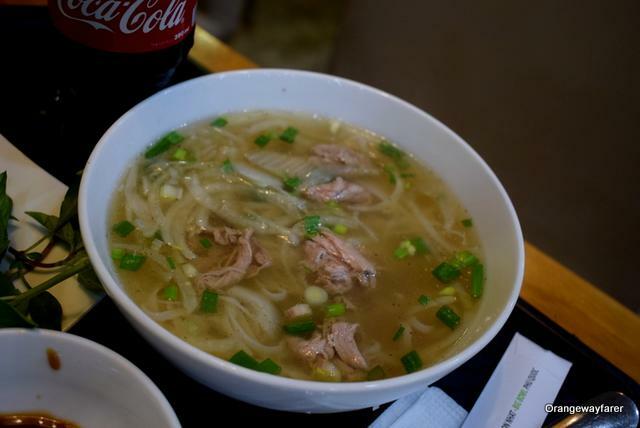 The fall of Saigon, millions fleeing from the country and the world chanced to taste a spoonful of the flavorful broth, wherever the Vietnamese went. 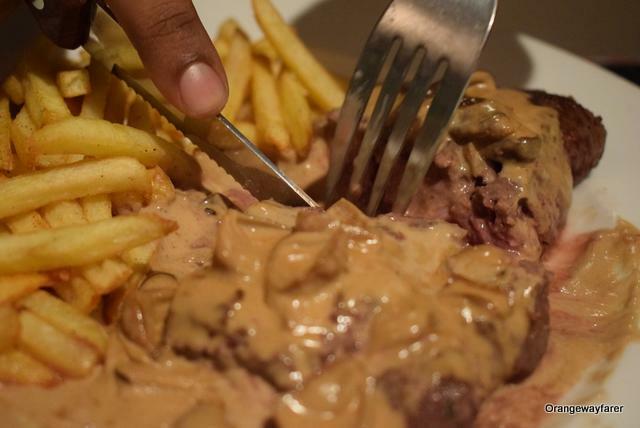 The French are credited with introducing beef to the country that favored pork, shrimps along with fiery chilies. While on transit, from Saigon to Hanoi, I had the good fortune to sip on the broth, bearing a century of legacy. Pho Nam (Pho of south) played kind with me with subtle undertone of spice mixes and delicious flavor. 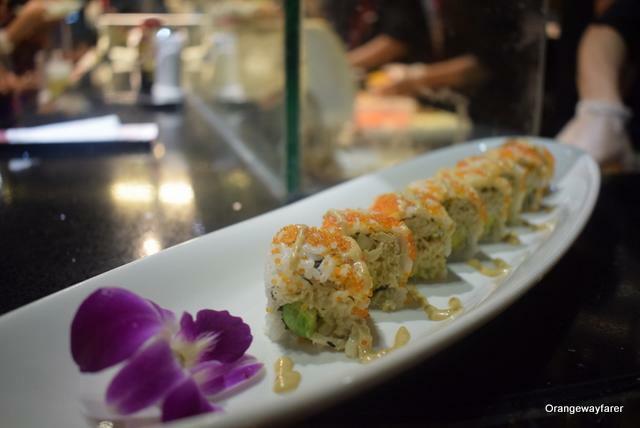 We order a plateful of sushis and spring roll with it as well. Since I have not been to Japan, yet may die for the colorful flower-like dainty portions, I had to provide for my sushi craving while traveling from the airports. 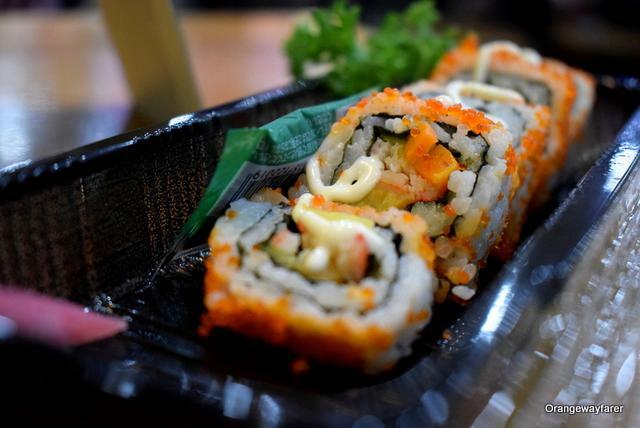 The Sushis at the stall were decent if not astounding. However the spring rolls were mind blowing. 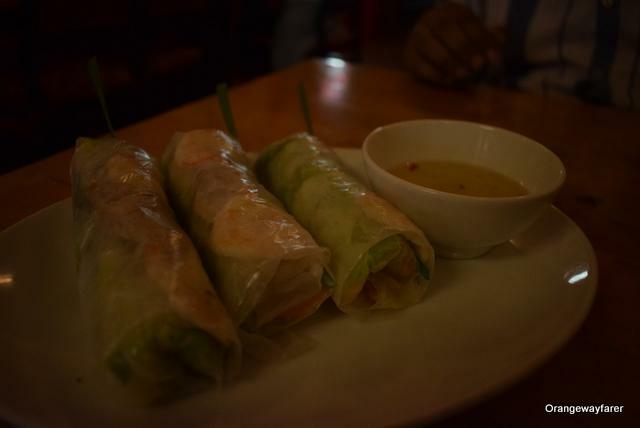 It would be almost blaspheme if you do not try the great rolls in rice paper that shelter gently steamed pork slices or shrimp along with fresh herbs from the courtyard. Dip them in the accompanying sauce if you prefer to spice it up. However I preferred the bland taste that emphasizes more on the freshness. While on our way back, we wanted to extend out Japanese romance for the night. 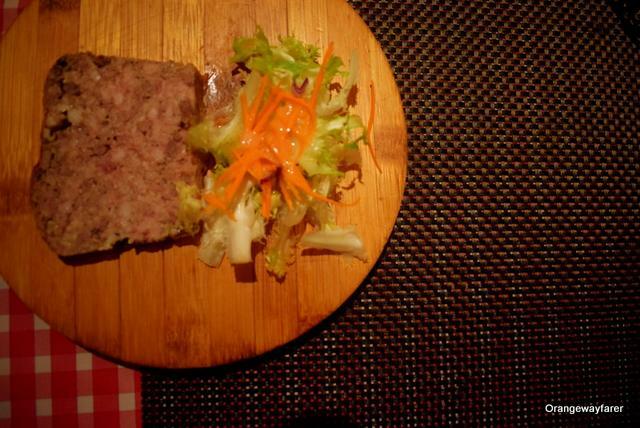 We have had savored the delicacies from Hanoi. 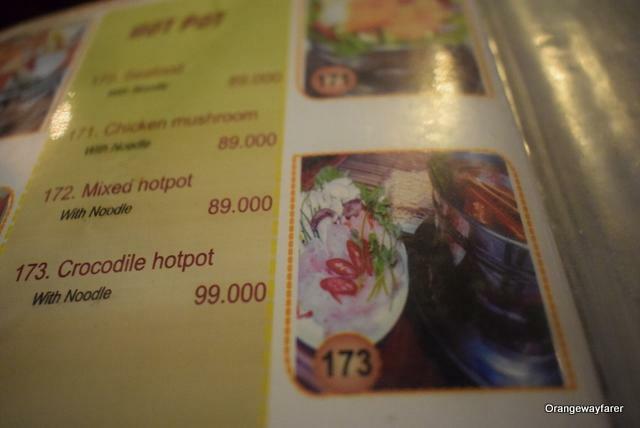 Hoian had astounded us with plethora of seafood. 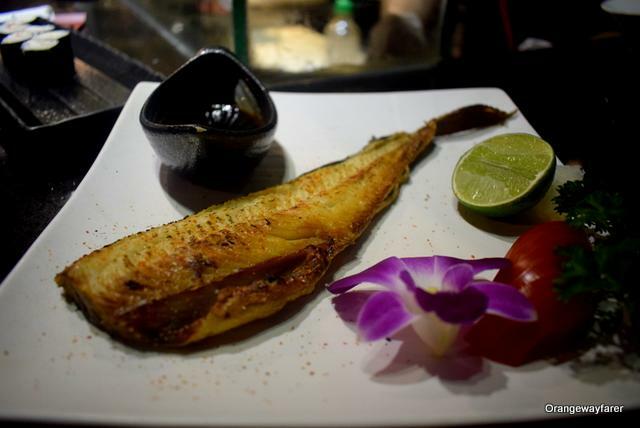 District one at Saigon had plenty on offer for a Japanese food fan. 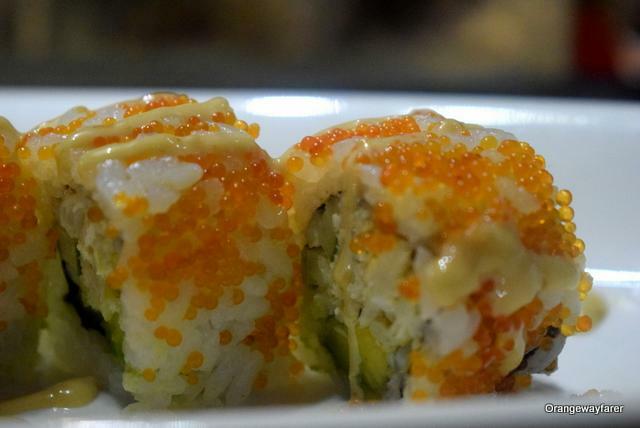 I went on a binge with the sushi rolls and the rice beer and the Tempura. 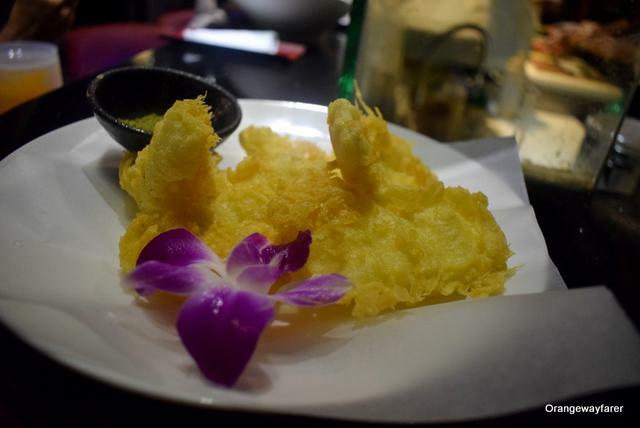 Probably the best tempura I had tasted ever. It was crispy the way it had never been. 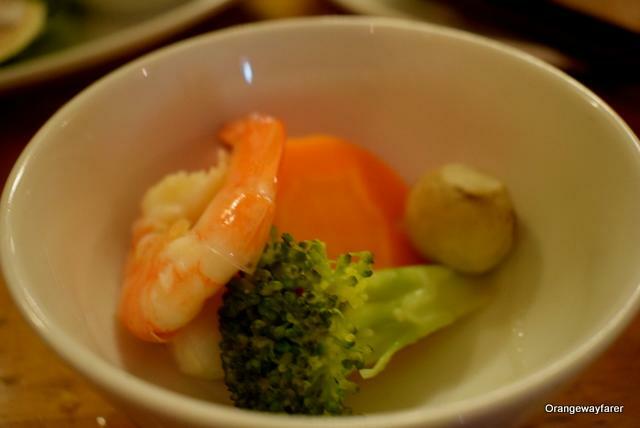 Neither spiced up, nor hot, the white flesh of the seafood was cooked the way one fancies. 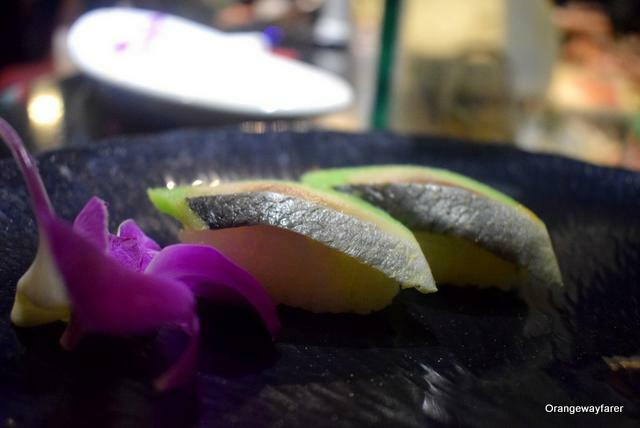 Can you believe Raw fish could taste so good? How I love this oyester dish! With a prawn tempura in hand! 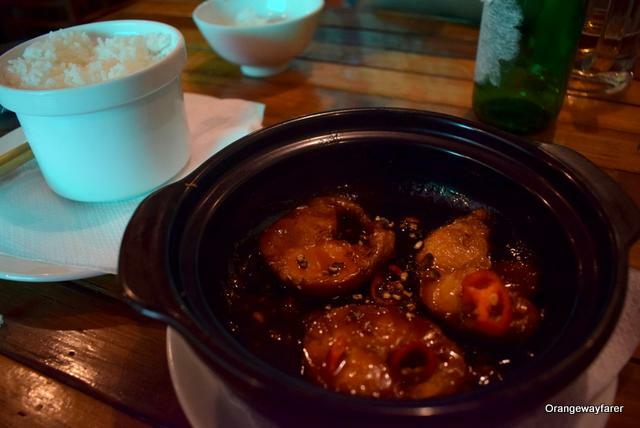 Sated with the Sushis, we explored the clay pot fish scene in Saigon once again. 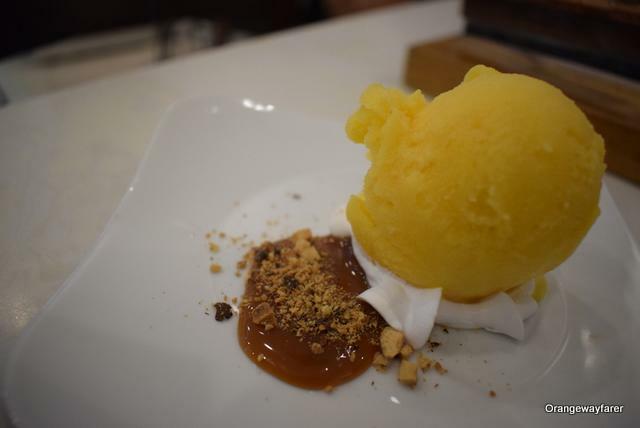 Every eatery of the district one is a gold mine in their own sphere, conjuring up local delicacies in the best way possible. The prevalent use is catfish to make the dish. Tea is often balanced to offset the fishy smell of the caramelized fillet!! 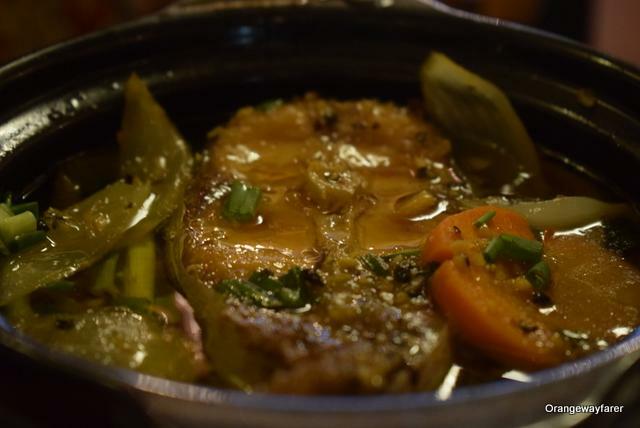 Fish stewed in Earthen Pot, a south Vietnam specialty. You find this in District one. Oh Man! It reads Crocodile! The art of cooking fish broth: a Vietnam specialty. You find this jewels in the small eateries of District one. As far as I remember the name of the place was: South Asian Kitchen. They serve Vietnamese Thali too. A struggle to get a taxi and the way to the airport with luggage spilling from a failed zip is another ordeal and part and parcel of a weary traveler, I guess. But Saigon, the old friend, with relics of a terrible war bygone, the impressive buildings and a bustling city life remains in my list to go back. 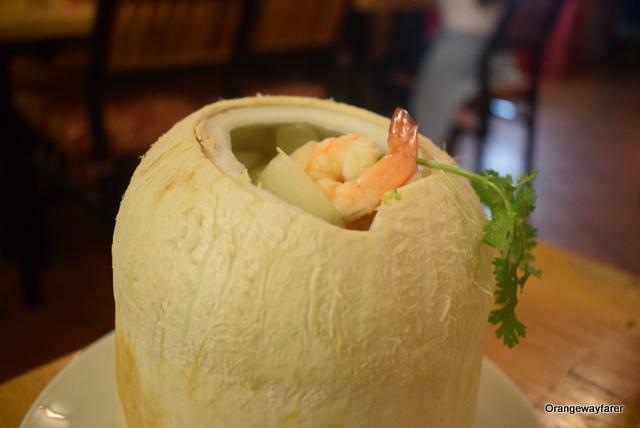 In two nights and one day’s time, all I could list down for you from Saigon is must eat restaurants in Ho Chi Minh City! Also read about my ordeal to explore the War Remnant Museum which will compel you to rethink world peace. Scrumptious food!!! Lovely pictures and I enjoyed reading your blog!